TDS TV on Demand is ready to handle all your holiday entertainment needs. In addition to a nice variety of new films, we also have some of the most beloved Christmas movies available – all at the touch of a button. So enjoy your holiday and let TDS deliver the entertainment. The Peter Pan story gets another remake in the enjoyable and imaginative, if somewhat convoluted, version. The best parts of “Pan” are Hugh Jackman, who is wonderful as Blackbeard, and the outstanding special effects. The filmmakers get bogged down at times trying to do too much, but “Pan” is a fine film for the entire family. Available December 22. Engrossing drama about chess prodigy Bobby Fisher (well played by Toby Maguire) chronicling Fisher’s personal struggles, as well as the Cold War conflict raging between the United States and the Soviet Union, in the 1950s. Available December 22. Faith-based film about a seemingly perfect couple who turn to prayer to save their family. “War Room” is heavy-handed at times, but it is one of the more effective and entertaining of the Christian-based films to come out over the last few years. Available December 22. Robert Redford and Nick Nolte star in this warm-hearted comedy about a two old friends who decide to hike the Appalachian Trail together. The film’s script is pedestrian, but the excellent cast and amiable atmosphere make this tale worth the journey. Available December 29. After breaking up with her boyfriend, a woman finds the ‘perfect guy’ – but things just aren’t as great as they seem. “The Perfect Guy” is “Fatal Attraction”-lite – a thriller that doesn’t quite go crazy enough. But the attractive leads are effective and there are enough jumps to make the ride worthwhile if you like this sort of thing. Available December 29. If you’re in the mood for a decent action film, you can do worse than “Hitman: Agent 47.” There’s nothing great here, but there’s nothing particularly inspiring either. Available December 29. Lake Bell and Simon Pegg are delightful in this screwball romantic comedy. Bell plays a lonely woman who takes the place of a stranger’s blind date – and sparks fly in a (sometimes painfully) funny fashion. If you like British RomComs, you’ll love “Man Up.” Available now. The life of iconic film actor James Dean is chronicled by a young photographer (played by “Twilight” star James Pattinson). As Dean, James DeHaan delivers a fascinating portrayal – albeit one that has polarized critics and fans alike for his mannered performance. Fans of Dean (and old time Hollywood) should check out “Life” and decide for themselves. Available now. Four friends find a ‘sure thing’ isn’t so sure, and unwillingly become involved with the mob. The result is all sorts of mayhem and carnage. “Criminals Activities” is sort of a low rent, but entertaining, Quentin Tarantino knock off with the violence teetering at times into the realm of satire. Available now. Why comb through the TV listings to find a holiday movie when TDS is serving up some great Christmas classics via TDS TV on Demand? So relax and watch your favorite films on your schedule. The excesses of Christmas are never so funny than this installment of the “Vacation” franchise. Join the Griswalds for just about everything bad that can happen at the holidays. Everyone’s favorite quest for a Red Ryder BB Gun is the perfect film for the entire family. Kids and adults alike can identify with Ralphie’s obsession with the ultimate Christmas present. Just don’t shoot your eye out. Jim Carrey’s live action adaptation of the Dr. Seuss classic doesn’t reach the glorious heights of the animated original, but who doesn’t love Max the Dog and all the Whos of Whoville. 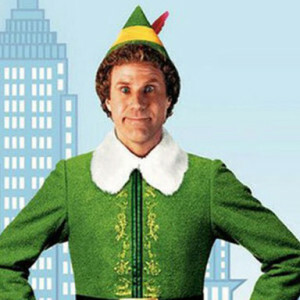 Will Ferrell is a human raised by elves at the North Pole who heads to New York to find his father. Ferrell is fearless in the lead role. While the laughs come fast and furious, the film also has an endearing sweetness that has helped it become a classic. An eight-year old boy must fend off a pair of burglars when he’s accidentally left home alone for Christmas. This is perfect wish fulfillment for any little kid. “Home Alone” still entertains even after 25 years (our favorite bit is John Candy as Gus Polinski – the Polka King of the Midwest). There’s really not a lot to say about this one. It’s One Direction – you know if you’ll love it or loathe it, so tune in (or out) accordingly. Tuesday, December 22, NBC. New this year are two colorized classic “I Love Lucy” episodes. They are “The Christmas Episode” (originally aired in 1956) and “Lucy Does a TV Commercial” (which is considered one of the show’s finest episodes). Wednesday, December 23, CBS. Spend the evening with George Bailey in what is arguably the finest Christmas movie ever made. “It’s a Wonderful Life” is hokey and sentimental, but it’s still oozes faith, hope, laughs and dreams. Thursday, December 24, NBC. The Doctor is back with his annual Christmas show. In this year’s episode, Alex Kingston returns as Professor River Song. Thursday, December 25, BBC. Catch the series finale to this wonderfully twisted and engaging tale of the fantasy world of the great Leonardo Da Vinci. Saturday, December 26, Starz. The Kennedy Center celebrates the lifetime contributions to American culture through the performing arts. This year’s honorees include George Lucas, Eagles, Carole King, Rita Moreno, Seiji Ozawa, and Cicely Tyson. Stephen Colbert hosts. Tuesday, December 29, CBS. We don’t have a new season of “Sherlock,” but we do get this one-off special which thrusts Holmes and Watson into 1890s Victorian England. Friday, January, 1, 2016, PBS. “Family Guy” creator Seth MacFarlane debuts a new animated series about two families living in a Southwest desert town on the United States–Mexico border. Sunday, January 3, FOX. The end is nigh. The beloved UK series kicks off a sixth (and final) season. Take one final trip and find out the fates of the Crawley family and their devoted servants. Sunday, January 3, BBC. Vin Diesel is looking to develop a series based upon his “Riddick” franchise. Sean Penn will play Andrew Jackson in “American Lion,” a mini series for HBO. “Mike & Molly” has been, surprisingly, been canceled by CBS. The Melissa McCarthy sitcom has filmed 13 episodes of a sixth season, which will air in early 2016. Discovery Channel’s groundbreaking “Mythbusters” will call it quit after 14 seasons. “Best Time Ever With Neil Patrick Harris” has been axed. “Fargo” will come back for a 3rd season with a new cast and location.